Mary Hoffman is a Missoula Montana native who has spent 36 years building business relationships within the community. She looks forward to assisting you in one of your most important and exciting home or commercial real estate investments. Educated as a Cosmetologist in 1982, Mary’s entrepreneurial spirit eventually led her to open her own successful spa salon. Having a unique vision and a great work ethic is something that has served Mary well, as her business expanded from 2 to 27 licensed professionals. 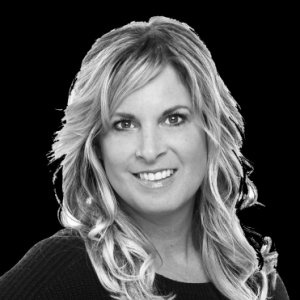 Experienced in advertising and marketing, Mary strives to achieve results in any task she takes on, paying close attention to the individual needs of her clients. Mary has several years of experience in both residential and commercial real estate. Having been featured in the Entrepreneur’s Magazine Defyeneurs, Mary is quoted as saying “we have dreams that we don’t believe are achievable”...”anything is possible.” She heeded her own words, and in 2010, set out to build her own custom home. Mary was motivated and passionate about being an intricate part of the process and thoroughly enjoyed seeing the home that she envisioned become a reality. Her home was chosen to be included in Missoula’s Parade Of Homes, sweeping all five of the awards for that year; The Peoples’ Choice, Overall Design, Notable Kitchen, Site Integration and Craftsmanship. In her free time, Mary enjoys spending time with her husband of 34 years, five children, their spouses, and nine grandsons. She enjoys gardening under Missoula‘s big blue sky, repurposing furniture, and rearranging rooms often to keep things feeling fresh and new. Mary also has an online store, “NanazBoyz”. As you begin the process of selling or buying your home or commercial property, Mary’s motivation and enthusiasm for real estate will be a true asset in finding the right buyer, and the ideal location for your property investment.